There are so many different ways to get better sleep and to fall asleep faster—melatonin supplements, weighted blankets, the U.S. Army’s technique—but finding the one that works for you isn’t always easy. One trick you might not have considered is using ASMR to help you sleep. You’re probably thinking, “Wait, isn’t ASMR those YouTube videos that involve veggie-crunching and lip-smacking?” Why, yes—yes, it is. But it’s so much more than the sound of pickles being eaten way too close to a microphone. 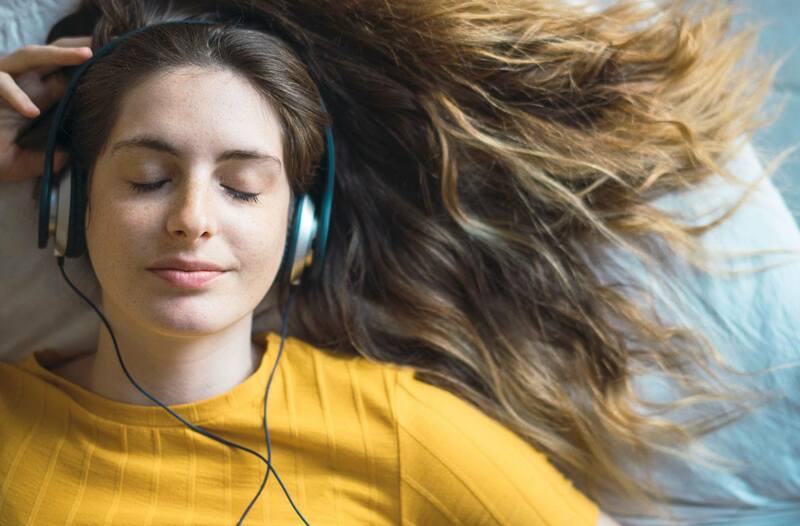 There are plenty of ASMR (autonomous sensory meridian response) videos to choose from online and the tingling sensations it causes might help you to finally get some quality shut-eye. According to the National Sleep Foundation, watching videos that feature quiet, calming sounds, like tapping of fingers or soft speaking, can help trigger a feeling of relaxation when you’re ready to sleep. We combed through millions of videos to select just nine of the very best that use ASMR to help you sleep. You’ll pass out like a baby tonight. It’s impossible not to fall asleep while listening to more than an hour of tingly triggers, including glass tapping, drawing, and even using a spray bottle. Where’s a better place to get some shut-eye than a sleep clinic? This nine-hour role play video makes you feel comforted and relaxed while you doze off. In this video, everything from gentle hand sounds to mic brushing is used to help send you into relaxation-mode. Designed specifically for those with insomnia, this ASMR video features a guided meditation with plenty of sleep-inducing triggers. An hour of just tapping? It’s a literal dream come true for a night of restful sleep. Whether you’re relaxed by brushing the mic or tapping nails, this sleep-inducing video has it all. Prepare yourself: You might be asleep the instant you take in the warm glow (and taps!) from the candle in this video. The perfect mix of ASMR and food puns, this video creates all the Zen vibes using thyme. Because, you know, it’s thyme for sleep. When it comes to triggers, hair brushing is one of the most relaxing ones out there (and this video has a lot of it). This trendy new cannabinoid might help you sleep better. Or, meet “slow lit”—the sleep trend that’ll knock you out faster than melatonin.